This could either turn out to a brilliant sticky.. or fail misrably.. anyway, i think it's worth a shot. This thread should have everyone's personal findings about rattles, their sources, locations, and remedies. if possible, attach pictures, diagrams or illustrations. I had this rattle in the passenger side door. Solution involved removing this cover (it pops off by a flathead screwdriver) and putting thick double sided tape behind it. 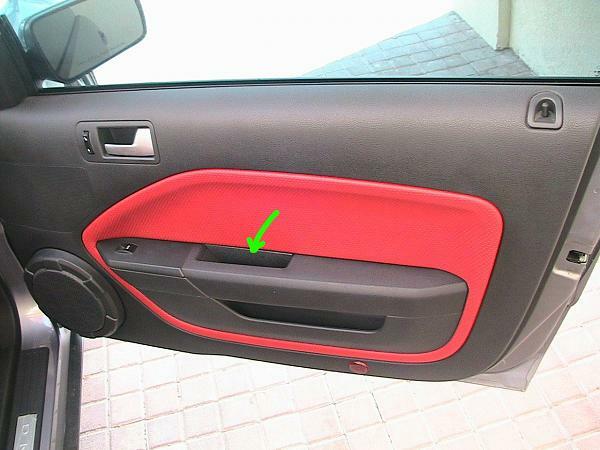 The rattle might also occure in the driver side door, due to the similar design. This is more like Rubbing/Squeeking than a rattle, and is caused by the leather shift boot being folded and rubbing against itself especially when in 1st or 2nd gears. Pull the shift lever boot and lift it up, so it's no longer latched into the console floor board. 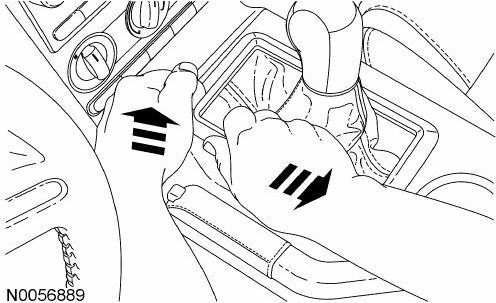 it might be easier to shift into 4th gear to give enough clearance for the shift boot, as it will be rotating along with the **** while you remove it. once out.. apply the leather conditioner and wax evenly on the outside of the leather shift boot, and reverse the procedure above to install. make sure you tighten the **** down so it won't twist while shifting. Man, if your this concerned about rattles and squeeks you wouldnt want to ride in my Supra. Every little bump I go over, something in the hatch squeeks. I had a rattle for about a week coming from the passenger side. It was driving me crazy. I couldn't figure it out. Then I realized it was 2 garage door openers that was side by side hitting each other. I have squeaky noise coming from the Emergency brake handle. I started a thread about it, but never really got a resolution to it. It appears to come from the two plastic case pieces that come together under the emergency brake's rubber grip. Holding them causes the noise to stop. Doesn't always occur on a bump, it can be heard from vibrations. My '05 GT dash rattled like crazy. My new '07 GT/CS (knock on plastic) has no rattles what so ever... so far. I won't say that this would ever discourage me from buying another Mustang.... like you hear people say when the first thing goes wrong.... ALL cars will have issues, simply by virtue of being mechanical .... I got plenty for my money, and these little issues can be resolved.. so, no big deal. i had the same rattle, no way do you think its the shift boot till you pull it off!! good work, thanks for the pics. I actually had several rattles in my previous 06. Some fixed by me others fixed by the dealer. I don't have a car to take pics of so I will just borrow some from others, hope they don't mind. 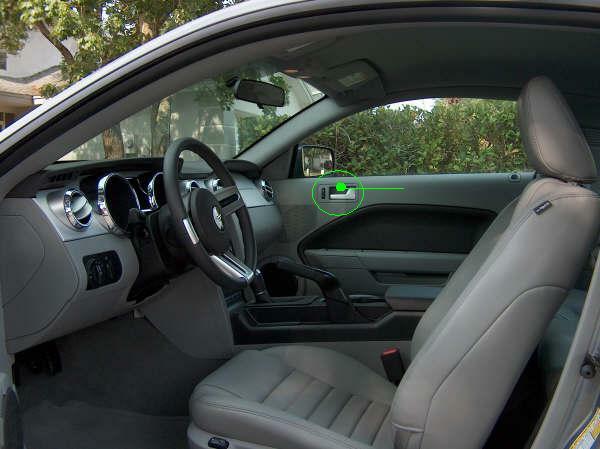 The Problem: The mid area of the door will vibrate while playing music or in cold weather. The Fix: My dealer did this one, they removed the door pannel and put adhesive foam and reinstalled the pannel. The Problem: I had two persistant rattles coming from the A-pillar area (plastic parts that but up against the dash and run over the doors). one was a "tick" noise that happened over bumps, the other was the normal rattle noise most seem to complain about. as the dash gets thiner and you will drop the felt behind the glass (very annoying to retrieve) Then used either a tooth pick or similar sturdy object to push the felt in snug. For additional noises cut the felt into thin rectangles and use the tooth pick to stuff the felt down between the seam of the A- Pillar and the top of the dash. I had the same rattle from the cover behind the inner door handle. It just started about 2 weeks ago. Removed the cover and put an anti-rattle foam pad on the back side of it. Problem solved! 2 rattles to speak of. Both came around AFTER my exhaust change. The first is the little key release cover on the auto shifter. An annoying little buzz that is only there during a certain rpm range. I got a PM from a member hear telling me to try clear silicone on it but I haven't gotten around to do that yet, so I can't say for sure if that is the fix. The second is the far right ac vent. It rattles like crazy at all rpms when fully closed. Now I just leave it partly open. I've was able to resolve a squeeky air conditioner / radio panel in a 91 Prelude by spraying Tri-flow around the plastic where it contacted the dash. The dealer woudn't do anything, and it was very annoying. This product works much better than WD-40, because it is oil-based, so it lasts much longer. I'd try a squirt of this type of product in the area and see if it helps. For the door buzz - I have this but only under full-throttle. I took the panel off and still had the buzz. So it's something in the door. Do you know if they removed the clear plastic weather sheet thingy? 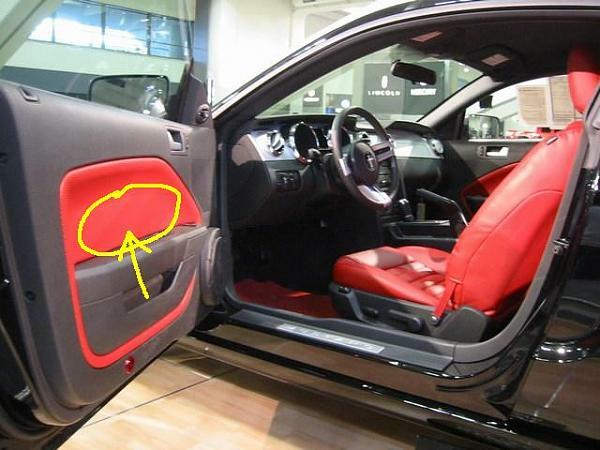 Does anyone have a fix for the passenger airbag door squeaks (IUP)?? I had this too. If you take off the plastic piece, you'll see that it has two velcro like squares that are supposed to be the anti-rattle pieces. I added another layer of adhesive foam to both these points and snapped the piece back in. That worked, but then I noticed a squeak where the back metal clip snaps into the b-pillar peice. I put some adhesive foam on the tip of the clip and it got rid of that.